The following video will give you an insight into the topics of land-based rainwater harvesting. For more information, make sure to check out the rest of the material on this topic. Enjoy! 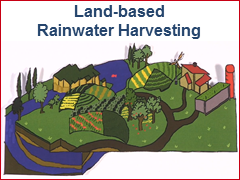 Land-based Rainwater Harvesting by Valerie Mehl, Ayodeji Oloruntoba, Ruth Schaldach and Ralf Otterpohl is licensed under a Creative Commons Attribution-ShareAlike 4.0 International License. The following video introduces distributed renewable electricity supply for rural areas. For more information, make sure to check out the rest of the material on this topic. Enjoy! Distributed Renewable Electricity Supply for Rural Areas by Tina Carmesin, Benedikt Buchspies, Ruth Schaldach and Ralf Otterpohl is licensed under a Creative Commons Attribution-ShareAlike 4.0 International License. The following video will give you an insight into traditional rainwater harvesting knowledge. For more information, make sure to check out the rest of the material on this topic. Enjoy! 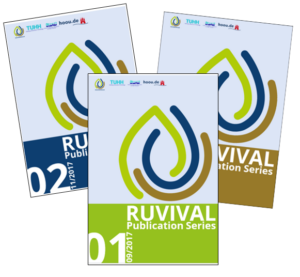 Traditional Rainwater Harvesting Knowledge Video by Sumbal Tasawwar is licensed under a Creative Commons Attribution-ShareAlike 4.0 International License. The following video will give you an insight into integrated decentralised wastewater treatment for rural areas. For more information, make sure to check out the rest of the material on this topic. Enjoy! Integrated Decentralised Wastewater Treatment for Rural Areas Video by Usama Khalid is licensed under a Creative Commons Attribution-ShareAlike 4.0 International License. The following video will give you an insight into the utilisation of urine in agriculture. For more information, make sure to check out the rest of the material on this topic. Enjoy! Urine Utilisation Video by Andrea Munoz Ardila is licensed under a Creative Commons Attribution-ShareAlike 4.0 International License. The following video will give you an insight into soil erosion and why this phenomenon is such an important environmental issue. For more information, make sure to check out the rest of the material on this topic. Enjoy! Soil Erosion Video by RUVIVAL Team is licensed under a Creative Commons Attribution-ShareAlike 4.0 International License. Raising farm animals requires a large input of agricultural efforts and natural resources. As a consequence deforestation, water shortages and water pollution may occur. Learn more about the environmental impact of livestock in this short video. The Environmental Impact of Livestock Video by Alvaro Rigel Gallegos Rivero, Ruth Schaldach and Ralf Otterpohl is licensed under a Creative Commons Attribution-ShareAlike 4.0 International License. In under 5 minutes, you can learn the most important basics about world soil resources. All you need to do is press play on the video below. Have fun watching! World Soil Resources Video by Zhuoheng Chen, Tavseef Mairaj Shah and Ruth Schaldach is licensed under a Creative Commons Attribution-ShareAlike 4.0 International License. Here you can immediately test your soul knowledge. If you are not feeling like an expert yet, have a look at the rest of the materials in this Toolbox element and this Interactive lecture. Have you ever wondered how groundwater is replenished? Aquifer recharge occurs naturally through different infiltration mechanisms, but can actually also be enhanced artificially, with the intention to store and treat water in aquifers. This short video will introduce you to these methods, the so called Managed Aquifer Recharge (MAR). Press play to learn more! Aquifer Recharge Video by Berenice Mendez Lopez and Lukas Huhn is licensed under a Creative Commons Attribution-ShareAlike 4.0 International License. The following video will give you an insight into the topics of Rainwater Harvesting. For more information, make sure to check out the rest of the material on this topic. Enjoy! Rainwater Harvesting Video by Claudia Lasprilla Pina, Rahel Birhanu Kassaye and Ruth Schaldach is licensed under a Creative Commons Attribution-ShareAlike 4.0 International License. This short video will bring you closer to understanding world water resources. What are they? Where are they stored? Can all water resources be used for human purposes? You will find the answers to these and other questions in the video. Press play and enjoy! 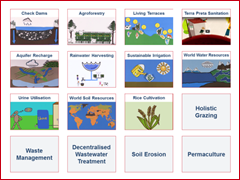 World Water Resources Video by Fuzhi Yao and Ruth Schaldach is licensed under a Creative Commons Attribution-ShareAlike 4.0 International License. The following video will give you an insight into what it means for irrigation to be sustainable. For more information, make sure to check out the rest of the material on this topic. Enjoy! 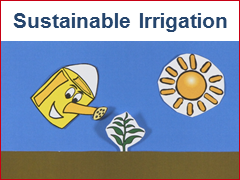 Sustainable Irrigation Video by Monina Orlina and Ruth Schaldach is licensed under a Creative Commons Attribution-ShareAlike 4.0 International License. This short interactive video will give you an insight into urine utilisation. Click on the different hotspots throughout the video to learn more! Urine Utilisation Interactive Video by Maryeluz Rueda Morales and Ruth Schaldach is licensed under a Creative Commons Attribution-ShareAlike 4.0 International License. The following Terra Preta Sanitation video shows how could be implemented and it presents the WTO & TUHH Toilet Design Award winning model loolaboo. This short video will give you a first introduction to living terraces. For more information, make sure to check out the rest of the Toolbox. Enjoy! Introduction to living terraces by Stefan Hügel, Ruth Schaldach and Ralf Otterpohl is licensed under a Creative Commons Attribution-ShareAlike 4.0 International License. The following Agroforestry video will give you an insight into the topics of agroforestry. For more information, make sure to check out the rest of the material on this topic. Enjoy! Introduction to Agroforestry by Stefan Hügel, Ruth Schaldach and Ralf Otterpohl is licensed under a Creative Commons Attribution-ShareAlike 4.0 International License. This short video will give you a brief introduction to check dams and the most important aspects of implementing them. Press play and start learning! 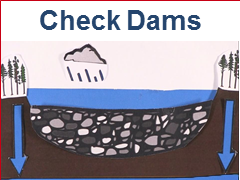 For more information about check dams, make sure to check out the rest of the Toolbox. Introduction to Check Dams – An Erosion Control Practice by Giovanni Timillero Ruth Schaldach and Ralf Otterpohl is licensed under a Creative Commons Attribution-ShareAlike 4.0 International License.